Shepherd University has adopted a college of business help desk, a first of its kind at Shepherd University. The desk is staffed with two masters of business administration students, graduate assistants, providing a center for all students taking or considering business classes. There is availability throughout the school week and the desk operates on a walk-in basis. 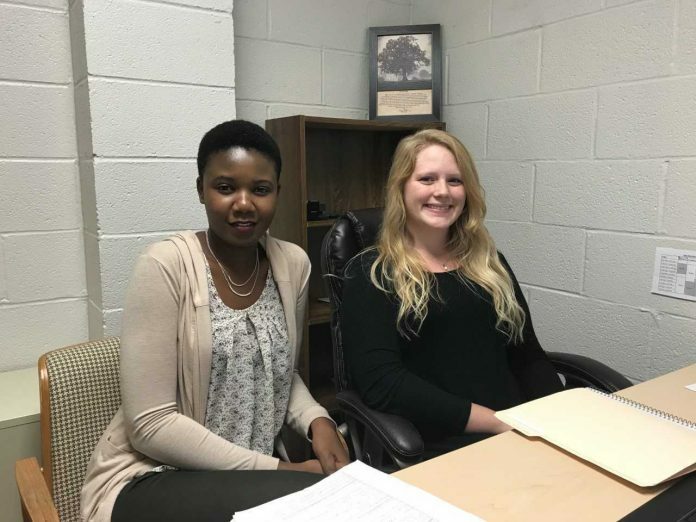 The graduate assistants are trained to assist students with questions on business classes. The assistants will help a student walk through class questions and point the student in the direction of the answer. The help desk also offers an opportunity to work directly with teachers and students, aiming for greater solutions. The desk is in White Hall, Room 213. Outside the door is the fall 2018 schedule, along with a Topic List that shows which courses each associate has taken. While both help desk staff members are comfortable assisting in all business topics, each has specialties. For more information please contact Dr. Martz or stop by the College of Business help desk. Next articleWomen’s Soccer survives shootout against Urbana 5-4.